This is a super-easy craft for any skill level! 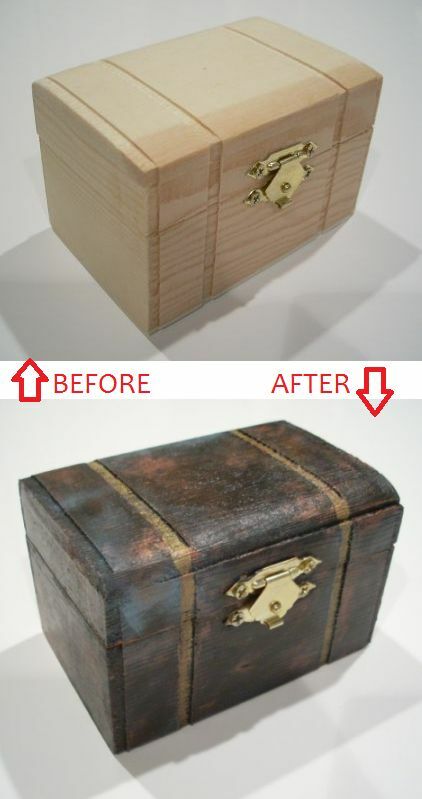 It's also an excellent introduction to wood painting. 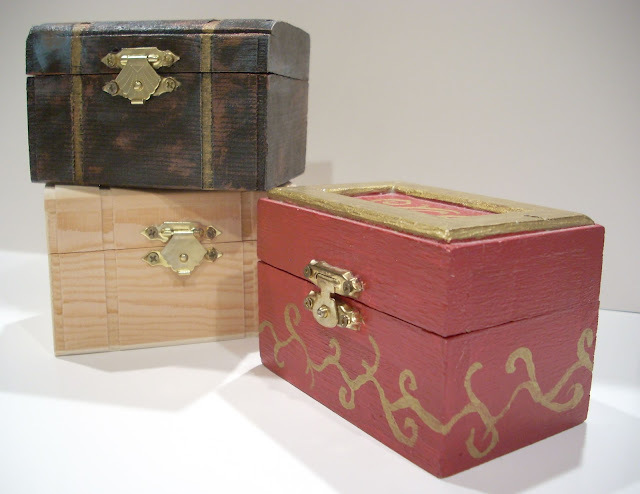 Design ideas are endless... above I started with a plain wooden box, painted it brown, then gave it some Steampunk flavor with metallic copper and gold paints and a little brushed-on blue. Sand down any splinters and rough spots. Paint! Let dry between coats. Finish with Mod Podge, if desired. Only apply Mod Podge to the top and sides, do not cover the inside or bottom because the surface can stick. Hot-glue a rectangle of felt to the inside bottom. Hot-glue a tiny mirror onto the inside of the lid. Use chalkboard paint on the top so you can write messages on it! Mod Podge a collage of pictures or scrapbook paper on the box. it's really beautiful trinket boxes. thanks for sharing informative post.